Created just for Diva Entertains - we designed these especially for Rockstar Birthday Parties and Rockstar Bar Mitzvahs. You can actually have what ever you'd like written on the candy bar wrappers, the above is just an example. Just provide us with detailed instructions in our 'Additional Comments' text box. 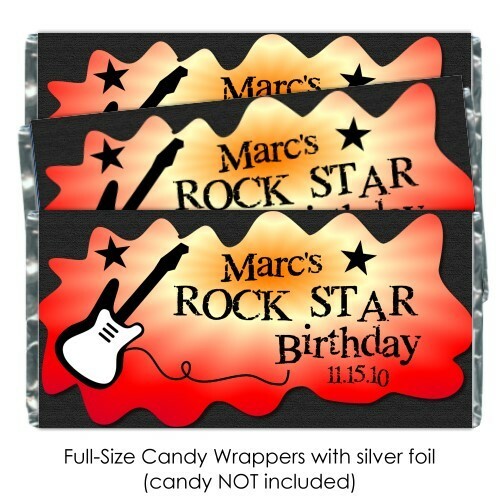 Our rock star candy wrappers are often used as place cards - guests are so excited to receive this extra treat upon arriving at the celebration! Our wrappers fit full-size (1.55 oz.) Hershey bars. Your order will include the wrappers as well as the silver foil underlay so that they look just like the famous candy bar. Candy is not included. Easy, illustrated wrapping instructions are included in your order - all you need is a glue stick or tape. Shipping is at a flat rate of $3.00. 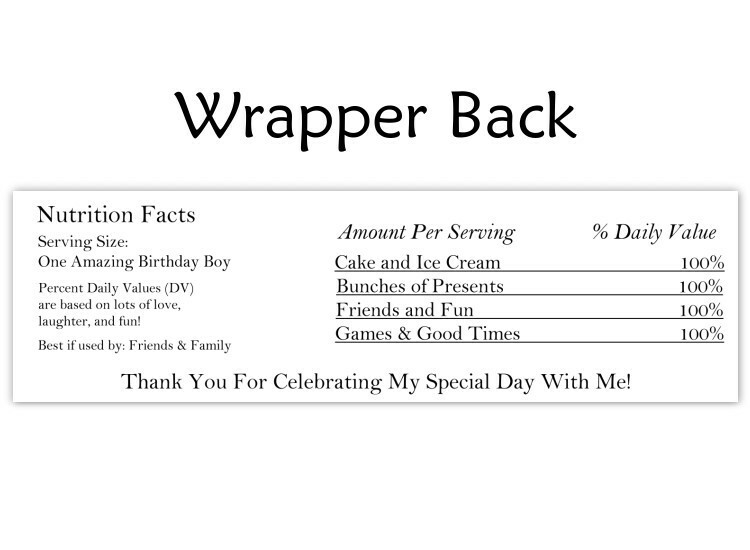 Please allow 4-6 business days to fulfill your personalized candy wrappers order; then add ship time.